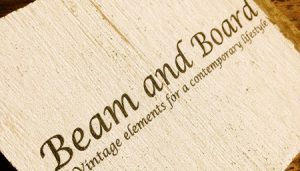 The people at Beam and Board have a passion for recovering old wood, barn wood, and other vintage lumber and turning it into one-of-a-kind projects that add a rustic or modern look to your home, cottage or commercial space. Each member of the Beam and Board team focus on customer satisfaction. Because they live and work the area, they take pride in providing superb customer service. They are excited about old wood – appreciating the history of each board, and they are anxious to help transform the wood to a much-treasured project or customized piece of furniture. From the rustic and weathered look to a more urban cut, the team works with you to find the materials to create the desired look. Terry has been involved in the construction industry for over 40 years. 25 of those have been working as an outside salesman dealing with contractors, architects, manufacturers, designers and home owners. Lindsay has a Bachelors in Interior Design with 10 years customer service experience. She's always coming up with new projects to keep her busy, including refurbishing and restoring anything she can get her hands on. She has a love for travel and always has her next destination in mind.